Located in the constellation of Cygnus, this diffuse emission nebula is approximately 5000 light years from Earth. 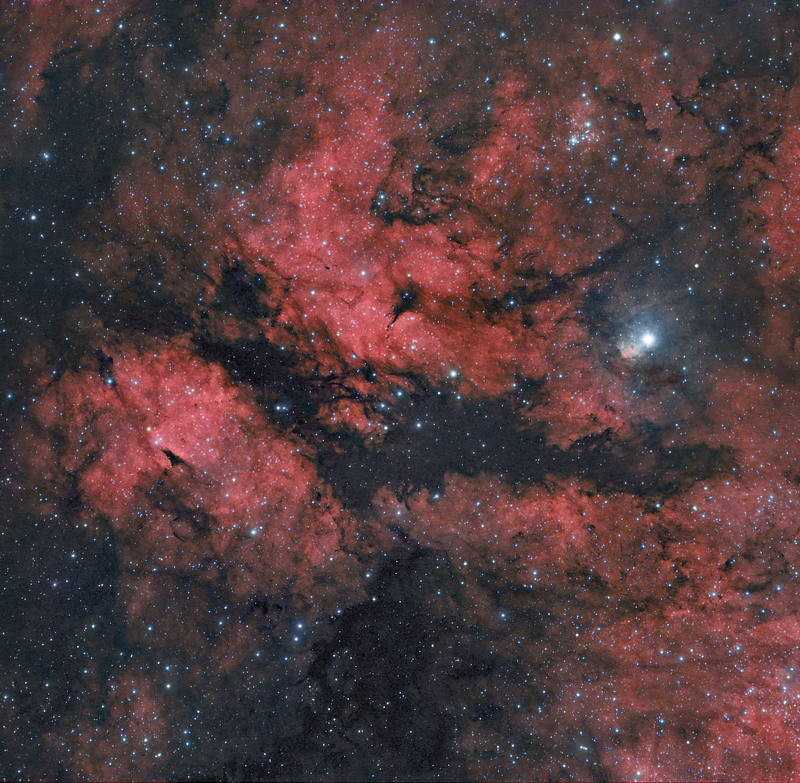 The bright star is Sadr or Gamma Cygni. 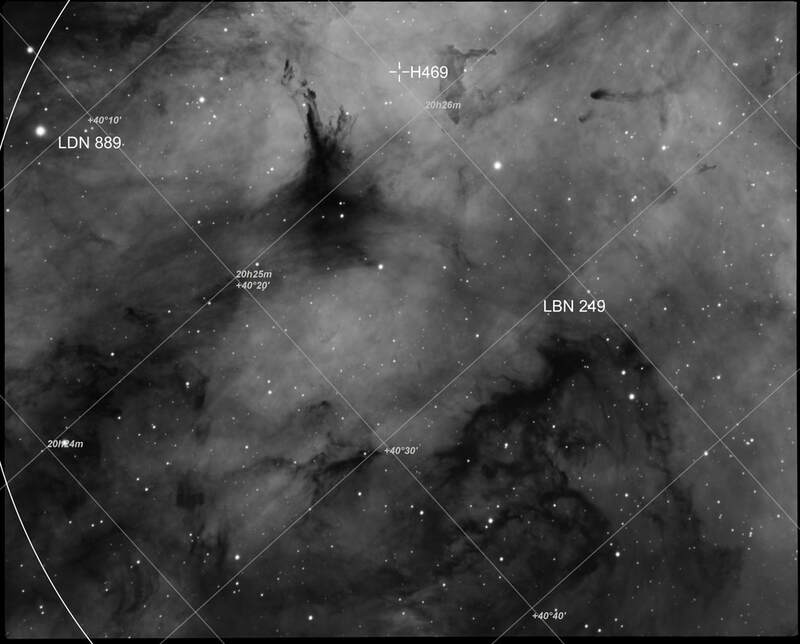 This image is a close up of an area of the Butterfly nebula beside it. I decided to look more closely at this area as I felt it would be interesting at a longer focal length. You can see below how the two images are matched. 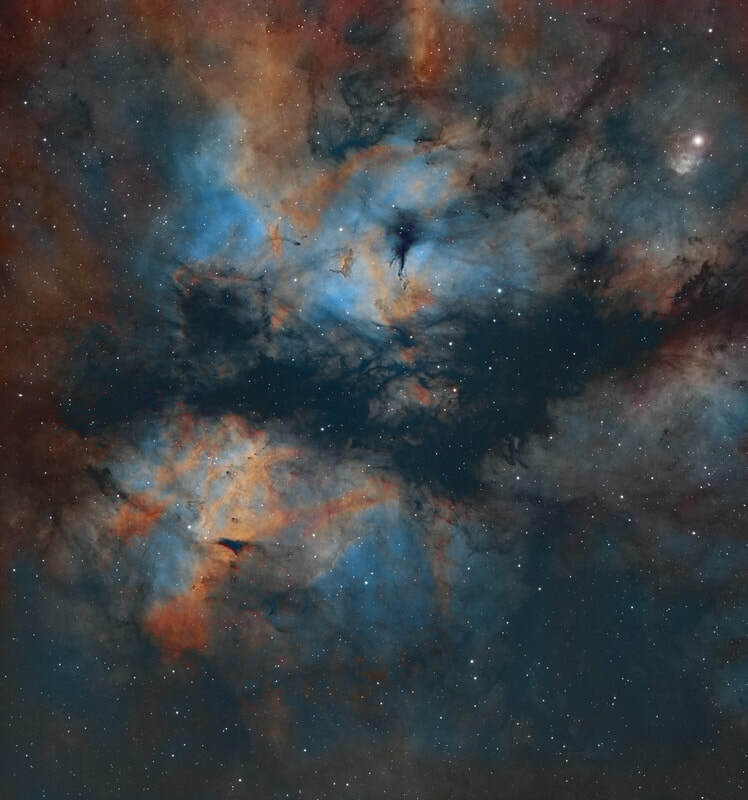 This colour image of the Butterfly nebula is a combination of two very different focal lengths. 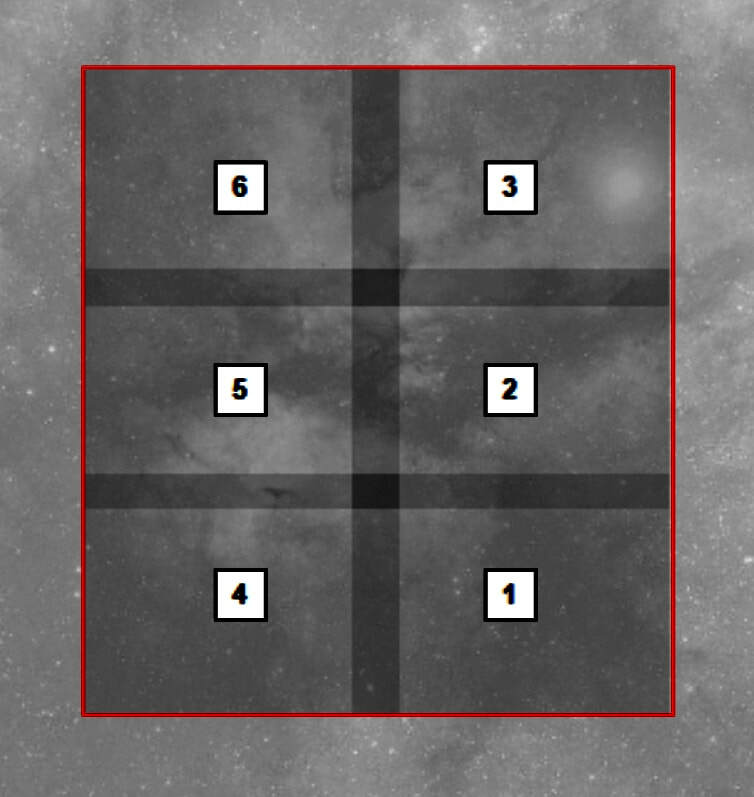 I have used the Ha data from the 6 pane mosaic as shown below and then to colourise it I have taken OIII and SII data in the short focal length scopes. As the OIII and SII is only adding colour and not detail (as that comes from the Ha data) this is a quick and easy way to add colour to mono images. 15x1800s in SII and 13x1800s in OII. This gives a total exposure time of 62 hours. This is an annoatated version of the close up image...... H469 refers to the Dobashi catalogue. Totalling 33 hours of data. 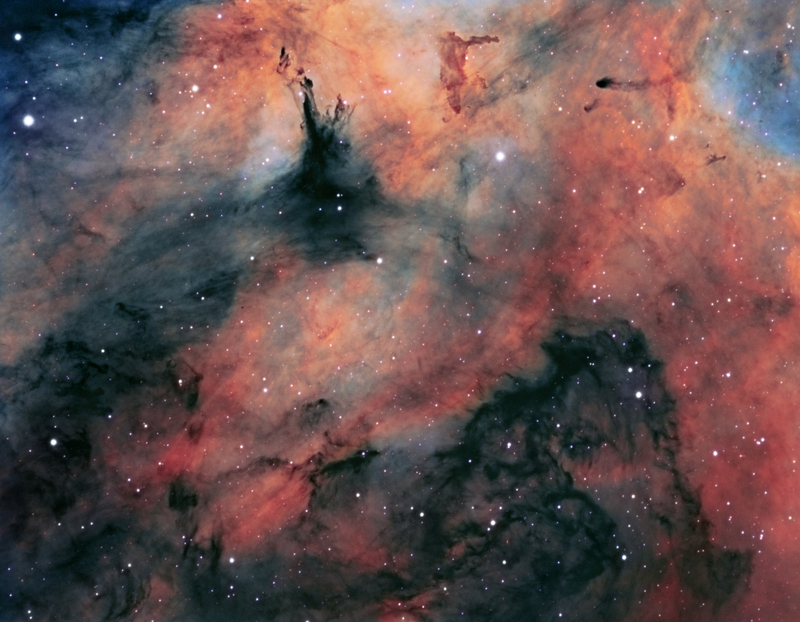 ​This is a 6 pane mosaic taken with a scope of focal length 1200mm. You can see the way that the mosaic has been put together. There's a total of 16x1800s in each pane so in total there's 48 hours of total exposure time. 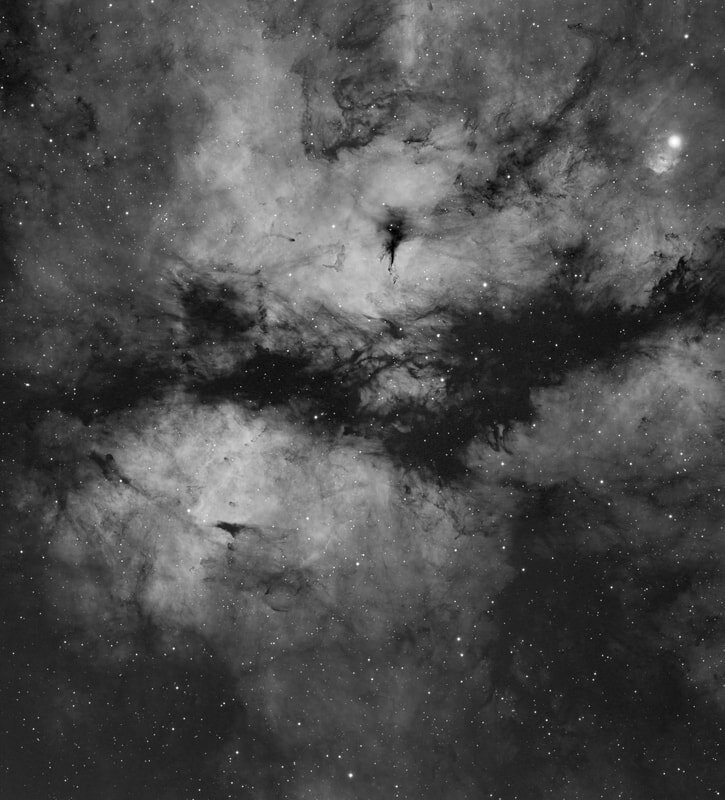 I am planning a colour image with OIII and SII, but I will take that data with the dual Taks at a shorter focal length as the colour detail doesn't need to be at such a high resolution as the Ha data which I'll use as a luminance channel. This is a combination of mono Ha and OSC data. This is a combination of mono Ha data and OSC data for the colour. 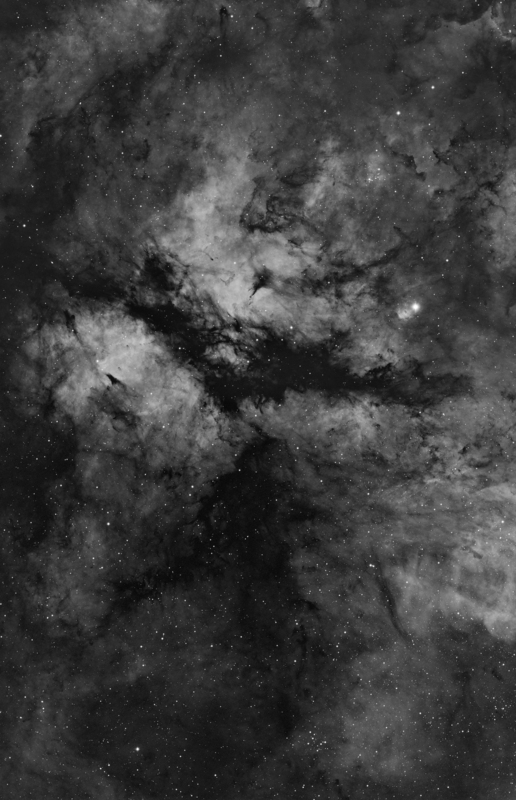 This is a 2 pane mosaic in order to give the Butterfly nebula a little breathing space!